Our company culture really expresses a "work hard, play hard" mentality. At our company everybody has a deep passion for their job. We have a real "hands-on" work ethic. This is an example of how companies and organisations describe themselves to recruit new talent. Writing a good recruitment piece is an art in itself, but capturing the company culture in written text is even more difficult. You want to be able to demonstrate your company culture and the people that work in your company, while making sure you steer clear of cliches and actually stand out from the crowd. Use video for recruitment to give potential employees a clear picture of your organisation. Video allows your way of recruitment to be unlike anybody else's and will attract attention from new and qualitative talent. The actual job description is important, but company culture is equally as important and whether it is a fit for the potential employee. Text often does not do the company culture justice. Video offers a quick overview to the people that are interested in working at your company. It shows who they potentially will be working with and what their role is within the company. Additionally, video is a great way to demonstrate office dynamics. Once applicants watch your video, you want to respond to their interest by making it as easy as possible for them to immediately apply. So, make sure you add a call-to-action, such as an "Apply here" button. With interactive video you can even place the call-to-action directly into the video. This works even better for mobile viewers. If you use linear video, you can place the call-to-action on the landing page. Video allows your way of recruitment to be unlike anybody else's and will attract attention from new and qualitative talent. 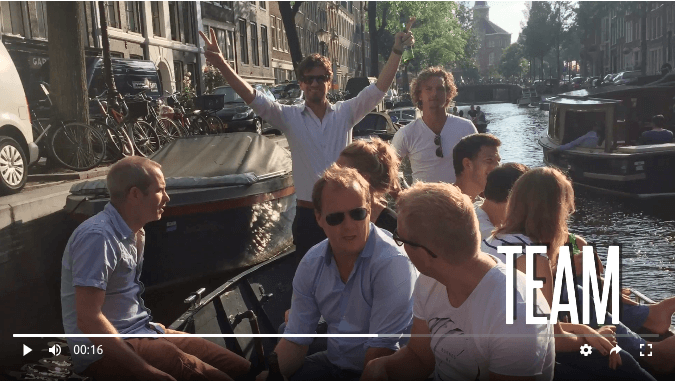 Read up on the results from Albert Heijn and find out how using interactive recruitment video brought them +3.000 new employees.